In the almost two year life of this blog, I have yet to compile a ‘best of’ list list simply because I would not write about a book unless I thought it was already head and shoulders above the rest. This is the beauty of writing a blog; it is by nature exclusionary. No one is paying for my services (sadly), or directing my attentions, therefore I can toss my voice into the blogosphere with nary a concern for my job or the feelings of an author or illustrator who failed to meet my exacting standards. I write about the books that I love. Period. 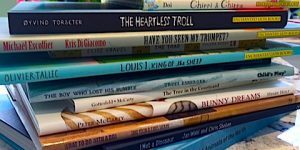 In terms of the number of children’s books published every year, it is a very small number indeed, but in terms of the amount of time I can devote to them through this blog, it is a dauntingly large list. I wish I had more time. And more bookshelves. The other problem is that I don’t just write about newly published books. The oldy oldensteins on my shelves insist that I shine a spotlight on them from time to time, and I happily oblige. It’s the least I could do. Nevertheless, I respectfully admit that a few titles have stayed close to my heart this year, closer than others perhaps, like an unforgettable conversation with a friend, or a dog that just won’t leave your side. 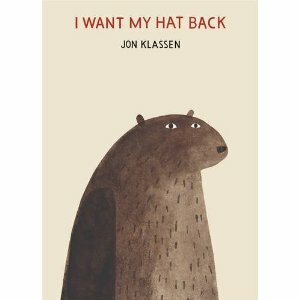 I Want My Hat Back by Jon Klassen. Yep, this book is on everyone’s list, and deservedly so. 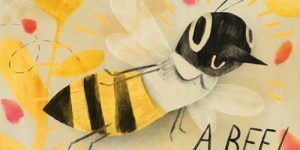 The concept and execution are the very essence of simplicity, and yet Klassen has somehow managed to create the funniest, and one of the most beautiful books of the year. A wide-eyed bear loses his hat, and is rightfully suspicious of his woodland compatriots. And make no mistake, he will get his hat back. Oh yes. The Chronicles of Harris Burdick by Chris Van Allsburg. Could it get any better? I mean, seriously? The breathtaking , single panel illustrations by Van Allsburg, first published in 1984 as The Mysteries of Harris Burdick, fleshed out with 15 wondrously strange fictions by an esteemed group of writers, including Stephen King, Jon Scieszka, Sherman Alexie, and Kate DiCamillo. A longer review will follow in the coming days, but suffice to say this book is a must-have. Prior to the publication of Chronicles, I had thought the beautiful-bordering-on-creepy art was enough to send my mind a wandering, but I could not have imagined these stories. 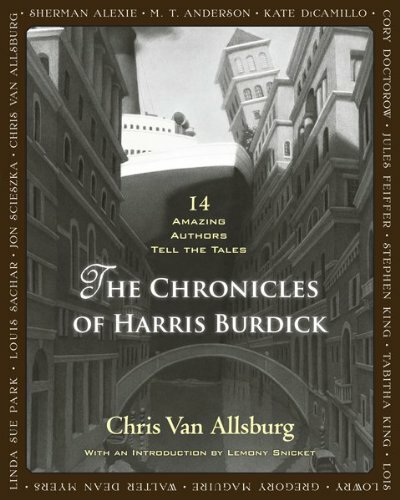 It’s an exquisite collaboration between Mr Van Allsburg, the assembled writers, and of course, the elusive…Harris Burdick. The Conference of Birds by Peter Sis (to be reviewed). Not a picture book per se, but an illustrated version of an epic, 12th century Persian poem. An unusual and achingly gorgeous book for all ages, but especially appealing to those who appreciate pretty pictures with their poetry. Or poetry with their pretty pictures. Either way, it’s a masterpiece. 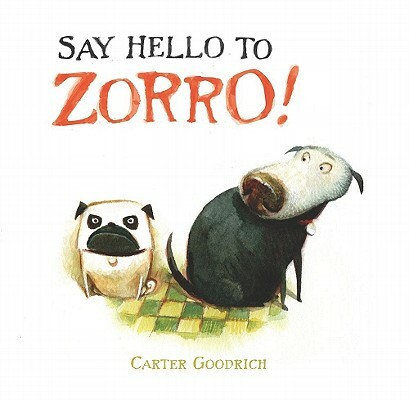 Say Hello to Zorro by Carter Goodrich. This book makes me happy…when I think of it, which is often. As an illustrator, as a writer, as a collector of picture books, and especially as a dog owner (if only temporary), Say Hello to Zorro is sweet perfection. As the story unfolds, a content pup’s world is thrown into chaos with the arrival of a tiny pug. The watercolour pictures of Zorro napping on the couch, or interacting with his hairy usurper are hilarious, and charming, and wonderfully right. And…and….a sequel, Zorro Gets an Outfit, will be published in 2012. Happiness! 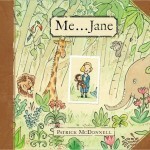 Me…Jane by Patrick McDonnell. 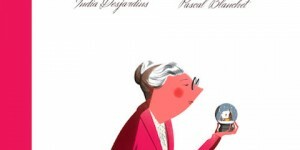 Jane Goodall’s early life as imagined through the paintbrush of the superb illustrator, cartoonist, human, and my personal hero-Patrick McDonnell. It also includes some of Goodall’s own sketches. 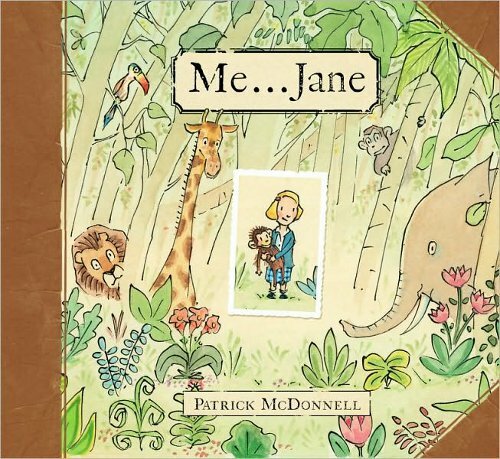 Me…Jane is a wonderful introduction to the work of the well-known chimpologist and animal advocate, by the creator of Mutts, and one of the best Christmas books of all time, The Gift of Nothing. 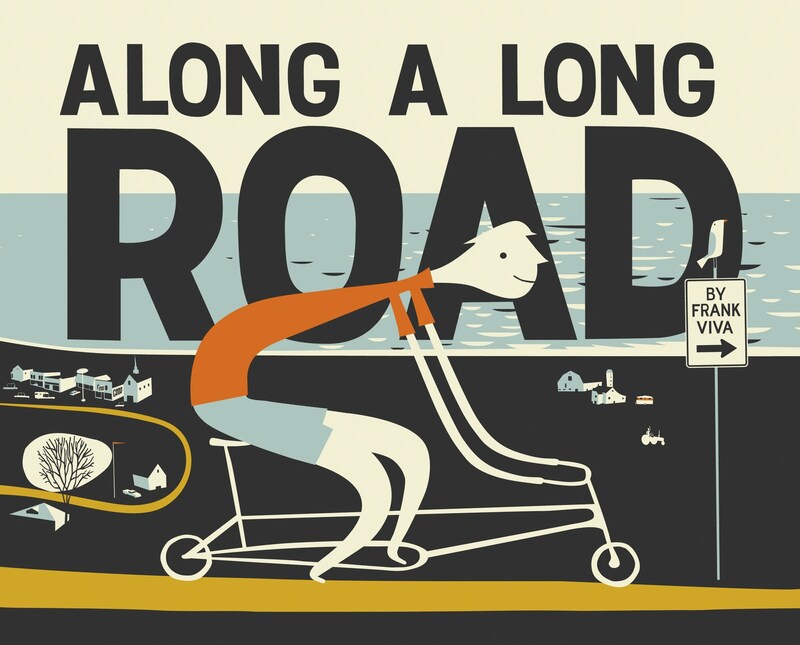 Along a Long Road by Frank Viva. This is definitely the coolest book on my list. There are no words, just an oddly shaped fellow, on his oddly shaped bike, riding along a long road from morning to night. The graphic images are produced entirely on computer, which normally would be a turn-off for my retro-sensibilities, but the visuals are stunning. 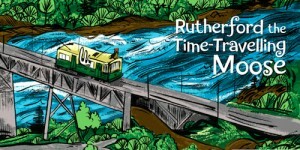 Nominated for a Governor General’s Award. Ten Birds by Cybèle Young. OK, I’ll admit that I have a soft spot for pen & ink. It’s my favourite medium…when I’m drawing…which is not often these days. But then, why bother when there are artists like Young, who do such a magnificent job with lines and cross-hatches? The premise of this book is delightful; ten birds attempt to cross a bridge, and at no point does logic enter into their various solutions…with one exception. 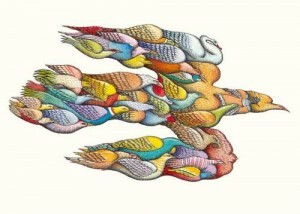 Ten Birds is the 2011 winner of the Governor General’s Award for Illustration. 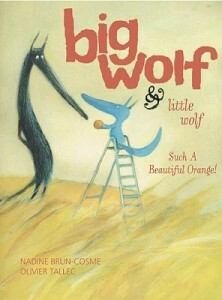 Big Wolf & Little Wolf: Such a Beautiful Orange! 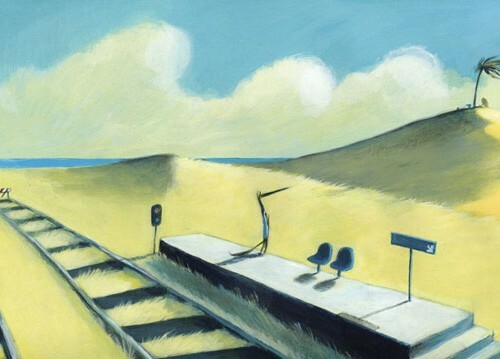 by Nadine Brun-Cosme and Olivier Tallec. This is the final book in an enchanting trilogy about the thoughtful and occasionally harrowing adventures of a pair of wolves who live on a garden patch in the middle of a city. 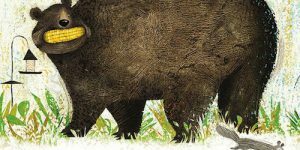 The stories are whimsical, and quietly contemplative, and the lovely illustrations are full of that European ‘quirk’ mentioned in my Foreign Bookshelf post. Such a Beautiful Orange is not really about an orange, although the sudden disappearance of the fruit does start the narrative rolling, resulting in a kind of ‘long night of the soul’ for Big Wolf as he searches for his missing friend. Sounds heavy but it’s not. The books are as sweet and beautiful as a freshly plucked orange. 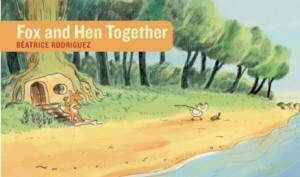 Fox and Hen Together, Rooster’s Revenge & The Chicken Thief by Béatrice Rodriguez. Yeah, I know only two of these books were published in 2011, but as with the ‘Wolf trilogy’, the ‘Chicken trilogy’ must be considered as a whole, although each story can be appreciated as a singleton. What I love about these fractured farmyard tales is the subtle eccentricity of the storytelling and the art. 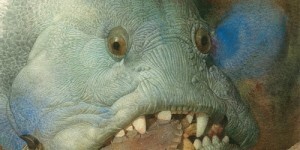 The books are beautiful, but weird, and I snickered through all three of them. 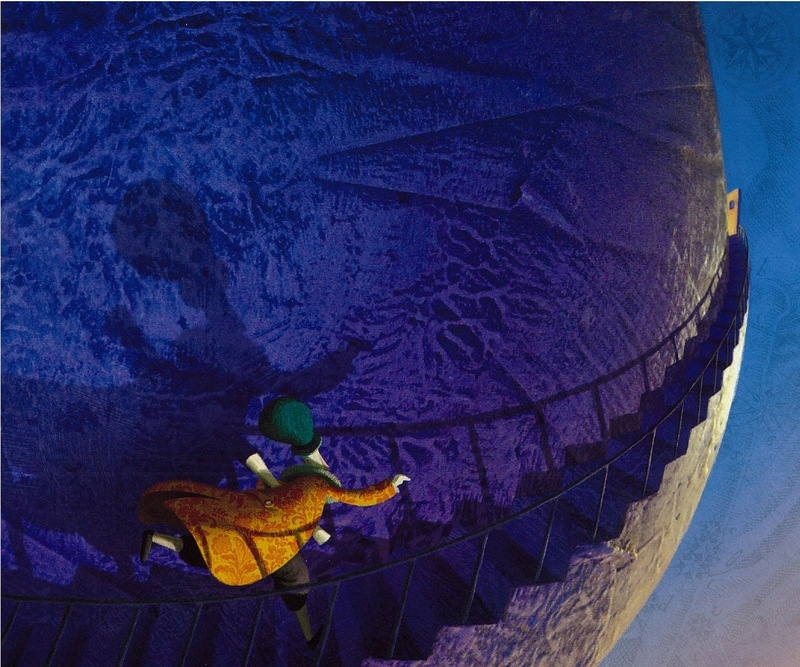 Oops…one more, and again…not published in 2011 but new to me this year: When Night Didn’t Come by Poly Bernatene. This book is so rich in colour, turning the pages is like opening a chest of jewels. The story, though strange and at times, undecipherable, is as titled~on one peculiar day, night and all it’s accoutrements, like the moon and the stars, fails to rise. Where did it go? I’m still not sure I know, but the journey is magical. 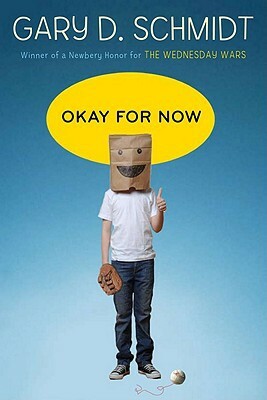 Lastly, although this blog does not usually review novels, I have to mention Okay for Now by Gary D. Schmidt. This is one of the best YA books I’ve read in recent years. 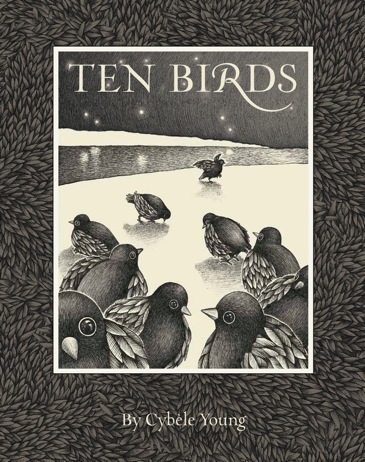 Set in 1968, it is a humourous, but incredibly moving story about struggle, and loss, and most surprisingly, the transformative power of art, in this case John James Audubon. I absolutely loved it. Also, in the swirl of heated opinion circling around an article about the prevalence of so-called dystopian children’s literature on bookshelves, I read a response by Sherman Alexie which I found so bang-on, I had to re-read The Absolutely True Diary of a Part-Time Indian. Not published in 2011, but newly re-discovered. That counts right? Read it. Bah! I still feel bad for excluding titles from this list, but you know where to find them. Thanks to all the authors and illustrators who bring colour and light to my life. 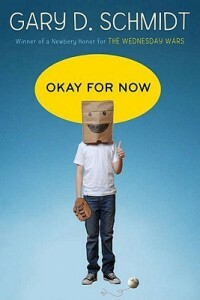 4 Comments for "The Best Picture Books (and one novel) of 2011"
Hooray for Okay for Now! That’s a book that never gets old on rereading. And When Night Didn’t Come looks spectacular–can’t wait to check it out.